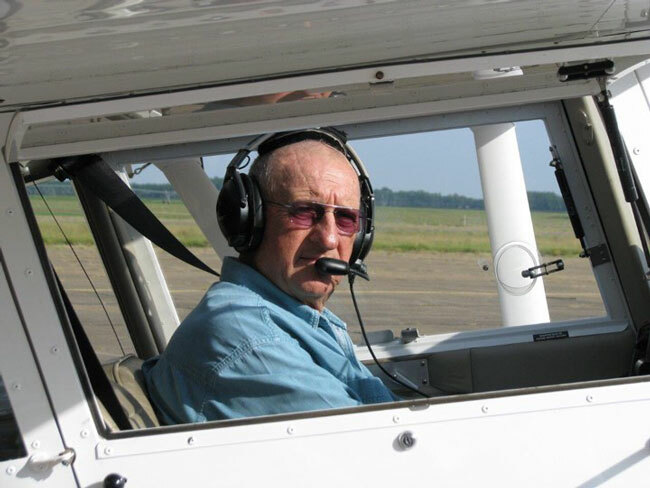 If you’re a pilot you almost certainly know the name “Maule,” but you might not know about Ray Maule, who passed away at the age of 83 last week after a remarkable life and career in aircraft manufacturing and much more. Ray didn’t found Maule Air. That was Ray’s father, Belford, B.D. Maule, and his mother, June Maule, who started up operations in Michigan in the 1950s and moved to Moultrie, GA, shortly thereafter. From the beginning, the company was all about building rugged, good-performing, reliable and honest airplanes, and that is still what Maule Air does today. Its lineup of fabric covered steel-tube fuselage high-wing planes is essentially the same design B.D. came up with in the 1950s expressed in different ways, with different engines, landing gear options and interiors. These are basic airplanes. If you’re looking for big flat panels, move along. These are airplanes that are all about performance and the value proposition. They are the most affordable Part 23 four-seaters in available and they hold their value doggedly on the used market, where they’re coveted by bush pilots from Alaska to Malaysia. While Ray didn’t start the company, he was the one who took it to the next level and then, and this is the critical part, kept it firmly planted there. Maule Air started as a family business making a great product and today that’s exactly what it still is. Even after B.D. passed away in the ‘90s, the company was all about family. Ray worked alongside June, who worked at Maule until she passed away in 2009, and his wife, Rautgunde, along with all of their kids. Under the guidance of Ray’s son Brent, the company continues to prosper today. Very importantly, Ray was a pilot, a gifted pilot. It is, indeed, hard to imagine how any company could build airplanes like Maules without the people behind them flying them and loving them. As I’ve told everyone who would listen, I was lucky enough to get my tailwheel endorsement with Ray in 1996, the year after B.D. passed away. That was a while ago, but even then I knew how special a deal it was. The training was an eye-opener for me, not so much because I learned so much—I did learn a lot—but because I saw how much I didn’t know about flying, because the guy in the right seat, Ray, seemed to know it all. Not that he ever had to say it. It was clear from the get-go that he saw all the mistakes I made even before I made them and very patiently explained how I could do things differently to get better results. The biggest lesson I came away with was, there’s a lot happening with an airplane, and it’s telling you what’s happening the whole time. Some pilots hear it way better than others. I realized at that point that I was flying with a master, and I did my best from that day on to develop a better ear. Thank you, Ray. It’s not often in life that a person gets to live a life doing what they love and what they’re gifted at. To be able to do it alongside your family…that’s a life well lived. If you fly over Moultrie soon, rock your wings real good for us. Don’t worry if it seems silly. We’re certain that someone will see you do it, and we’re even more certain they’ll rock their wings right back, though for sure with better rudder coordination than most of us mere mortals can pull off. I have been fortunate in my life to have known Mr. B.D., Miss June, Ray and his lovely wife, and Brent. I was even lucky enough to stay with Mr. B D and June for a period and enjoyed breakfast every morning with them and talked over the days activities. I even flew with Mr. B D in one of his Maules. Great airplane and great family, I am blessed to have known them. Had the pleasure of meeting Ray and Rautgunde Maule in the early 1990’s for repairs to my 1985 Lunar Rocket. They treated us as though we were the only customers they had. Tour of the factory and gratis instruction post repairs. Will never forget Ray and Rautgunde!